In my last blog, I told the story of Cornelius Crowe, policeman, anti-corruption campaigner, and author of The Australian Slang Dictionary (1895), a record of the language of criminals on the streets of Fitzroy and Collingwood in the 1890s. In this blog I take a closer look at the dictionary itself. 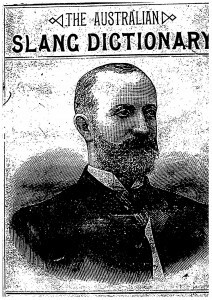 The dictionary was published in 1895 by Robert Barr, a printer in Brunswick Street, Fitzroy, and sold for a shilling. It is ninety-eight pages long and contains nearly 2,700 words with brief definitions. The contents page lists thirty-three different types of slang covered by the dictionary, including Lovers’ Slang, Theatrical Slang, Imposters’ Slang, Vagrants’ Slang, and Bookmakers’ Slang. 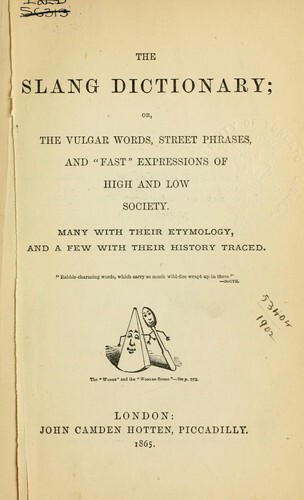 The subtitle claims that some of the ‘unauthorised though popular expressions’ included in the dictionary are ‘now in vogue with all classes in Australia’. Crowe’s purpose in recording the language of the streets arose from a desire to add to the sum of knowledge about criminal activity and behaviour, rather than from a particular interest in language for its own sake. My aim in compiling this small Dictionary is to place in the hands of the police and the public a work through which they may become conversant with the slang terms used by the rogue fraternity as a medium of communication with each other. A number of these terms are used by criminals to act in a similar manner to pass words used by different secret and friendly societies. … I trust the circulation of this work will have the desired effect of preventing criminals, rogues and gamblers from conversing with impunity in the presence of the police and public. Although I have entitled this book the ‘Australian Slang Dictionary’, I would ask the reader to bear in mind that but few of the terms it contains have been invented by Australian criminals; the most of them have been brought into use by the criminal classes who have emigrated here from the different parts of the world where criminals have had almost a language of their own for centuries past. It is difficult to know exactly how Crowe compiled his dictionary, or what methods he used, but we know that he consulted several other dictionaries in the process, since the bulk of the entries in Crowe’s work—over 2,500 of them—are copied from earlier English and American sources. 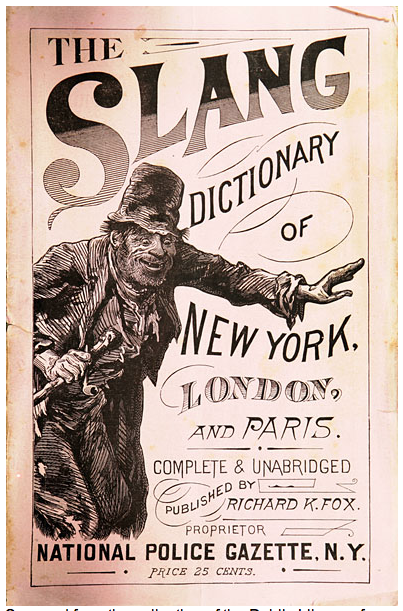 The main sources are J.C Hotten’s The Slang Dictionary; or the Vulgar Words, Street Phrases, and ‘Fast’ Expressions of High and Low Society (London, 1865), and A. Trumble’s Slang Dictionary of New York, London and Paris (New York 1880). It is likely that Crowe acquired a copy of the latter from his family in America. Did Crowe sit with these dictionaries looking through them for familiar words, or did he begin with a list of words collected from the streets of Melbourne, and search the dictionaries for definitions? Certainly he acknowledges his indebtedness to ‘many … persons and sources’, especially to two police colleagues, who presumably provided firsthand information about words and usage. When we put aside the many words Crowe gathered from earlier English and American sources, we are left with 117 Australian words and meanings. Of these 102 do not appear in any dictionary of the period. It seems likely that Crowe knew these terms, and that he was recording the words he and his fellow policemen heard on the street. 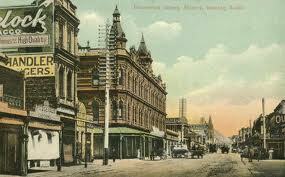 It is these entries that are of particular interest to the study of Australian English. In the addendum to his dictionary Crowe himself laments that ‘with all the sources at my command, I confess the present work is not as perfect as I would like it to be’. But despite its shortcomings, the significance of The Australian Slang Dictionary is that it gives us a snapshot of the colloquial words and phrases used in a particular time and place: lower-class urban Melbourne in the 1890s. Here is a small selection of Crowe’s Australian entries. The comments in square brackets are mine. Bag, a horse is said to be in the bag when he is not intended to win, and given to the bookmakers to lay against. Murrumbidgee Whaler, bushmen looking for work on the stations, and never working. Pimp, a story teller; a spy for the police. Tambaroora, a game of a shilling each in the hat and the winner shouts. Troubles, ‘my troubles’, what do I care. * Judith Smyth is a Visiting Fellow at the Australian National Dictionary Centre. This entry was posted in crime, dictionaries, historical lexicography, lexicographers, slang, urban Australia and tagged A. Trumble, bag, battler, blue duck, bluey, Cornelius Crowe, fizgig, J.C. Hotten, Jimmy Woodser, Johnnie Woodser, Melbourne, Murrumbidgee whaler, penciller, piece of blue paper, pimp, quack, squirt, straight wire, tambaroora, troubles, Yarra bankers by Mark Gwynn. Bookmark the permalink.